You are in the right place, if you feel totally stressed out and overwhelmed. You are in the right place, if it feels like no matter how hard you try that things never get any easier. Chronic stress and anxiety is not easy to get away from once it grabs on. At times it grabs everyone. Law of Attraction states that what you focus on you get more of which seems like some sort of bad joke when stress... worry... anxiety... is high. Stress as defined by Merriam-Webster: a physical chemical, or emotional factor that causes bodily tension. For the sake of your sanity let's introduce two terms to clarify the word Stress. Eustress is a positive form of stress having beneficial effect on health, motivation, performance, and emotional well-being. Today it has been connected that Stress feels bad, negative, and to be avoided. It has been connected like this for both physical and emotional things that cause stress. The human body and mind are designed to create which means that in basic terms all forms of stress are ways of challenging the body-mind-spirit to become more because of the way stress build strength. When stressed out the last thing a person wants to hear is that it is good for you and so people work to anticipate problems before they become distress. When focusing on eustress a new orientation gets momentum. Life is seen as a set of beneficial challenges to well-being. Crystals & Gemstones have been used for thousands of years as encouragement by people wanting to create positive things. 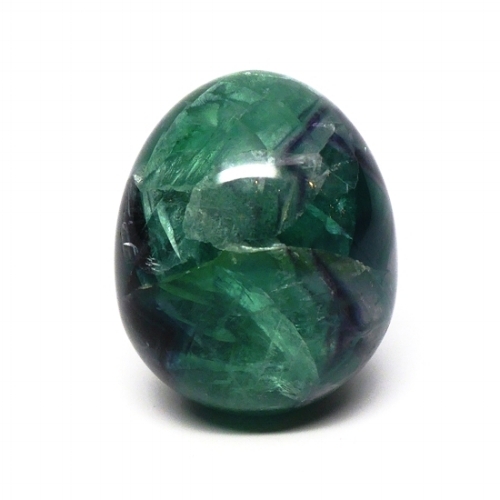 They are also used to protect against negative energies that cause distress, this can be negative people, situations, and negative self-talk. Life is not meant to be stress free, true balance in life is a combination of responding and reacting to everyday experiences. Crystals & Gemstones like Red Vericite and Indian Agate reduces stress and worry. To increase protection from negative people, situations, and negative thinking use Turquoise, Aquamarine, and Onyx. If you are worried about family members Snakeskin Agate is a protective stone for Children. If it is work Amazonite gives soothing energy while Lapis Lazuli gives you the ability for strong focus and productivity. There are reactive ways to calm stress and these Crystals & Gemstones support, encourage, and soothe these feelings. There are ways to get ahead of things and a great start is by understanding how this distinction between negative distress and positive eustress impacts you. It might mean that many things that you previously considered stress can be re-defined as useful. Some things can be re-organized, re-prioritized, or entirely dismissed. Lastly, the things that you clearly define as distress can be managed as quickly as possible to give some relief that can be clearly felt. Re-orienting about Stress is a key to knowing when it is negative and when it is positive. Get more of the positive, growth stress and gain self-confidence. Release, remove more of the negative, distress and lighten your load until you feel it working. Crystals & Gemstones are this grounding, encouraging points of stability that you can count on for support along the way. The Natural Laws work with Harmony. Distress is not within these Laws and can only exist when energy is give to them. It is good to know this because it is no one's fault that distress happens, it is the way of understanding WHAT is happening that let's the judgement and energy block that happens in the mind release so that it doesn't feel quite so heavy. Red Veriscite supports flow, purity, and happiness. On the emotional level it increases faith and calmness while reducing stress, worry, anxiety. This stone cleanses and detoxes the body of free radicals. Indian Agate is the Anti-Stress stone. It is great emotional assurance when needing a soothing reminder to be patient. Turquoise enhances power, luck, and protections. Protector against all things evil. It gives happiness, clear thinking, and empowerment. Aquamarine brings good luck, fearlessness, protection. It encourages quiet courage and clarity in confrontations. Gives order to those overwhelmed by responsibility. Onyx protects from negative energy. It encourages positivity and focused self-development. Snakeskin Agate is a love amplifier that attracts more of what you feel strong love for. It listens to your inner wisdom and brings you good luck, wealth, a stronger connection with those you love. It is also a protective stone for children. Amazonite opens emotional issues and energy healing. It balances stress and heals traumas while also calmly soothing energy in the home and at work. Blue Agate is known for opening up and expanding conscious awareness. It attracts good fortune, encourages calmness, and increases clarity by listening compassionately to inner thoughts. Blue Lapis Lazuli enhances memory and intellectual abilities. It strengthens effective communication and the ability to express yourself.